‘Doing the simple things right’ was the key take away message from today’s open day on one of the country’s top dairy farms. Eddie Dwan, his wife Ann, and son Thomas farm in Bohernamona, Thurles, Co. Tipperary and, in 2014, the family was awarded the top prize in the NDC and Kerrygold Quality Milk Awards. 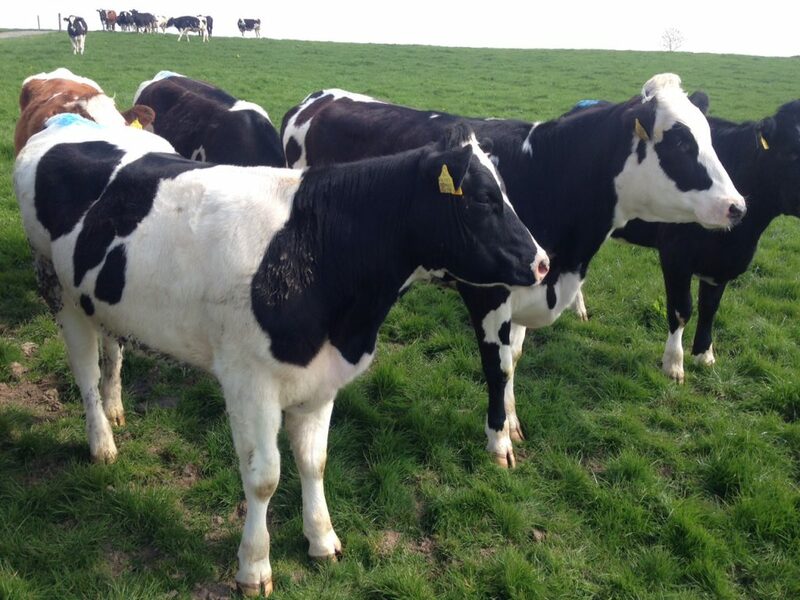 The Dawns’ milk 110 cows on a 75ha farm which borders the river Suir on the outskirts of Thurles town. All of their milk is supplied to Centenary Thurles Co-op. The 75ha farm is divided into two by a road. To date, however, cows have not had to cross the road. 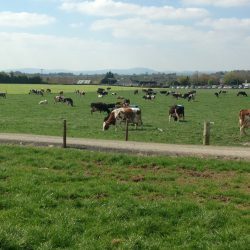 The dairy enterprise is managed on one side of the road. Land on the other side is used for grazing the replacements and drystock and for silage making. 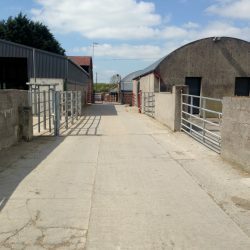 The father, mother and son team have introduced measures to improve efficiencies throughout the farm – ranging from the design of housing to use natural light to having LED lighting, to recycling of the plate-cooler water. Rain water is harvested and the farm plan is conscious of supporting hedgerows and wildlife. fed a small number of high SCC cows and culled them from the herd. 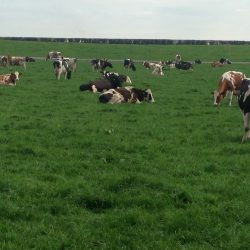 Thomas believes that good breeding and calving practices are big considerations for quality dairy farming, saying that they actively aim for compact calving and try to avoid late calvers. The Dwans calve all of their cows in the spring. 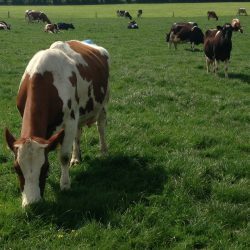 This year over 90% of the herd calved between January 20 and March 15 and the plan is to milk 115 cows this year. Af March 31 there were 47 replacement heifer calves and 39 yearling replacements on the farm. 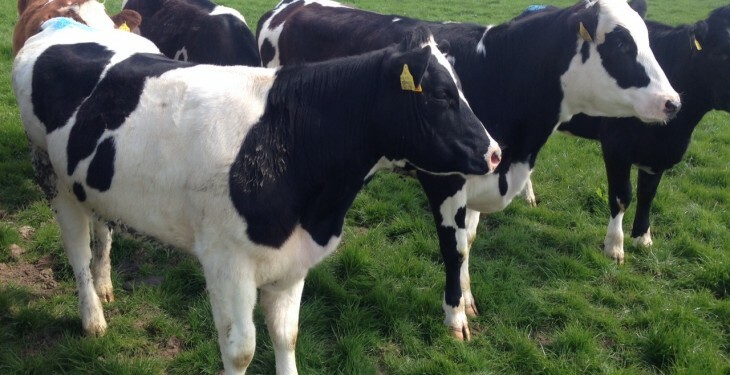 In 2014, the Dwans produced 546,545L of milk (480,545L sold) with the remainder fed to the calves. With fat and protein content of 4.05% and 3.56% respectively this equated to 416kg of milk solids produced (366kg sold) per cow. On average 255 days were spent in milk in 2014. 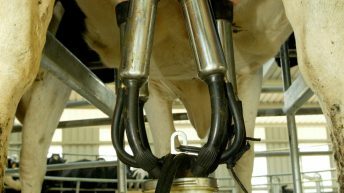 Quota limitations restricted the number of days that cows spent in milk in 2014 and the volume of milk produced as a result. Eddie started out with a herd of about 20 cows with a main focus on tillage farming. 60 cows in the herd up until about seven years ago. 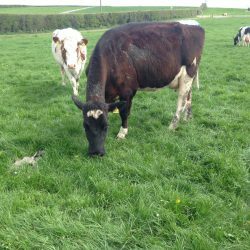 However, the farm was not heavily stocked and Eddie and Thomas had enough good quality grazing land to expand the herd to its current level of 110 cows, without buying or renting additional land. 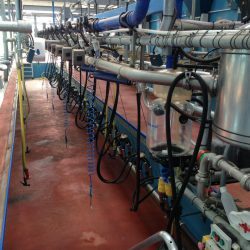 The Dwans built a new 16-unit DeLaval herringbone milking unit four years ago to replace the original six unit facility. 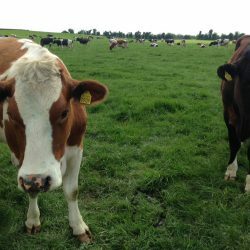 The future for the farm is to expand to 140-150 cows.